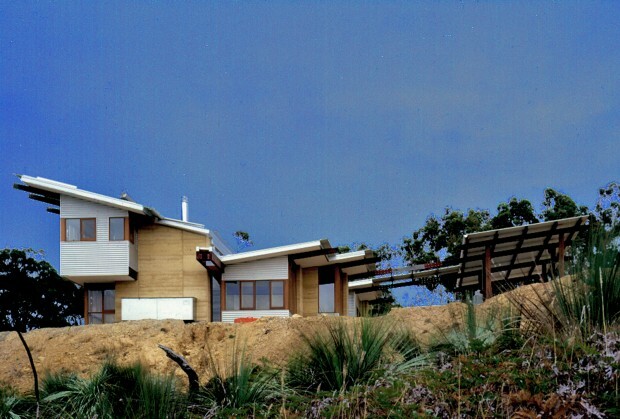 Sustainability, self-sufficiency and craft in a bushland home. 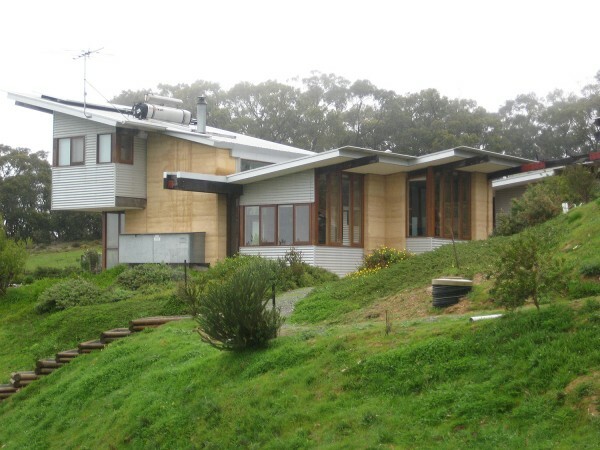 This sustainable architectural home features soaring roof lines that allows maximum solar access into spaces and to photovoltaic and water heating panels. Internal spaces are light filled and open to spectacular views while maintaining intimacy. A narrow mezzanine above the living area leads to a private “crow’s nest” corner study nook. 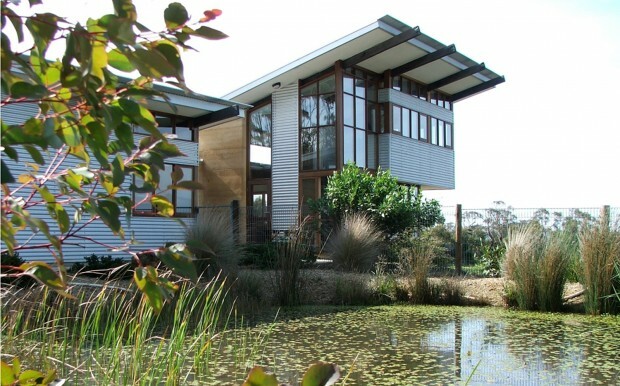 Natural selections include: recycled timbers; underground rainwater storage; rammed earth; double glazing; on-site renewable wood supply and water collecting ponds.